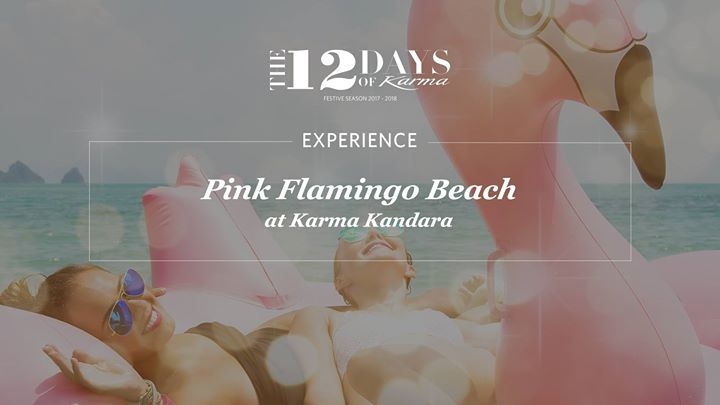 Things get decidedly pink down at Karma Beach Bali for our Pink Flamingo Beach Party, where we bring Aruba’s Renaissance Island to Bali for one day only. Start your day with a sunrise yoga session overlooking Temple Lounge. Be guided by our experienced teachers who will help you start the day just right. In the afternoon, enjoy great music down at Karma Beach with international DJs sessions, and sip on our tasty tropical cocktails. Our Tastes of Aruba menu will serve up some delicious island inspired food. from 11am-3pm. Dan Cook and Folila Percussion will take you into the afternoon with frenetic rolling beats from 3 – 7pm. Rafa Lambert closes out the night with some upbeat party tracks. paint up rocks and seashells from the beach. At 3.00pm, work on some creative accessories projects, before we wrap things up at 4pm with colorful pot painting. Morning yoga at 8am: Yoga Flow. There’s nothing like a restorative massage to induce a deep slumber. Your 75-minute Muscle Melt Massage is delivered with warm ginger packs and will relax your mind and muscles, while a 45-minute Sun Soothing Facial will drench your skin with goodness. This concludes with a hydrating young coconut water.